We are proud to announce that Saxon Way Primary School, a member of The Griffin Schools Trust, has been rated as a ‘good’ school and praised for the way its leaders have transformed the school’s culture and raised the expectations of staff to meet the aspirations of pupils. Angela Sandow, Head of School, said: “We are absolutely over the moon. “It was such a glowing report and is testament to the whole community to the families, the pupils and the staff. We couldn’t have wished for anything better, apart from outstanding! In the report, inspector Mark Cole wrote: “Leaders and staff are relentless and have been successful in improving pupils’ behaviour and creating a safe, calm, purposeful school. “Pupils who started their education in this school are increasingly working at, or beyond, age-related expectations. “Leaders have strengthened teaching so that pupils in Key Stage 2 are making more rapid progress to wipe out the legacy of poor teaching in the past. Liz Lewis, Joint Chief Executive of the Griffin Schools Trust, said: “We are all very proud of the school and its leaders for building long term improvement. “It’s amazing what has been achieved in just two and a half years. 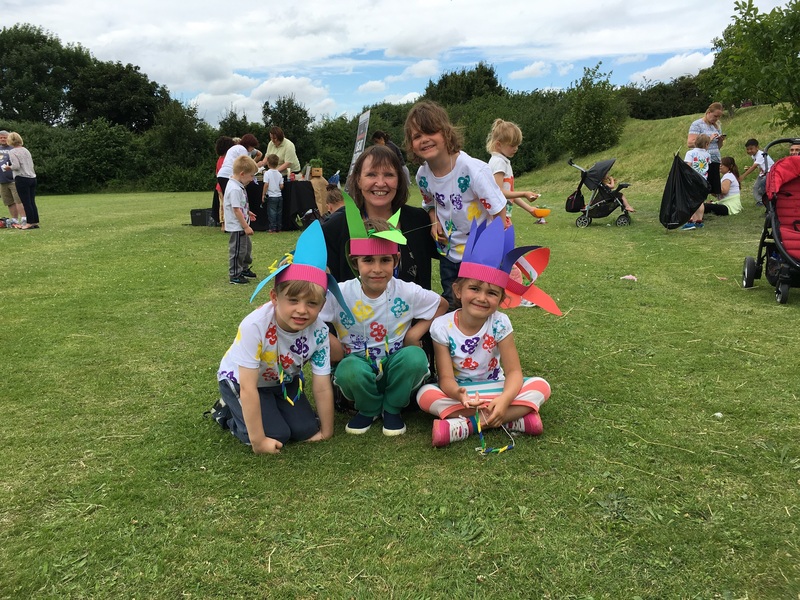 To celebrate the news and the end of the Griffin Arts Festival, Saxon Way held a carnival on Friday 8 July where pupils who had spent two weeks focusing on the arts, making masks and costumes, had the opportunity to meet exotic animals and show off their artwork. The good news about Saxon Way has come following a report which rated the Griffin Schools Trust among the top five out of 26 academy sponsors in a report analysing the performance and pace of school improvement. The report from Angel Solutions, which provides online data for the education sector, assessed the performance of academy sponsors by comparing the grades of 700 academies before and after they were sponsored. In terms of its pace in improving its schools, the Trust has come fifth, ahead of 21 other sponsors. The data shows that the Trust has improved its sample of six schools by a total of eight grades. This gives an average improvement of 1.3 grades per school, indicating that the Trust is effectively adding value to its academies. Read the full stories on 24Dash.com, Academy Today and Kent Online now.